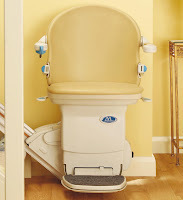 Castle Comfort Stairlifts offers top brand stairlifts, keen prices and fast installs for all those seeking stairlifts in Lincoln, Grimsby, Scunthorpe or Grantham, in fact anywhere in Lincolnshire and Rutland. But if you are looking for fascinating facts about your area, then read on. For example, few folk from Lincoln actually know what a 'Lincoln stairlift' is. Meanwhile, Lincolnshire is the UK's 2nd largest county and is bordered by 8 other counties, any of which you can also order a stair lift from. It has Britains shortest county boundary with Northamptonshire at just 20 yards. Mainly agricultural and food based the county has historically had connections to the sea through its busy ports bringing fish and other goods into dock, aswell as all along the coast there are the East Coast resorts of Skegness, Mablethorpe, Cleethorpes and Ingoldmells. Last year 17 million people visited Lincolnshire for tourism purposes and were worth nearly a billion pounds to the local economy. Lincoln is the county town and is known for its cathedral and also for its picturesque marina called Brayford Marina. It was near the Marina that the town was founded in the first century. Nowadays a big university town it has lots to interest the tourist with its rows of independent boutiques, art and craft, food and gift shops especially along Steep Hill, pictured left. Quaint and characterful shops and antique buildings line the route although a stretch of the hill was unfortunately nicknamed "Heart-attack alley" because of the strenuous climb. As a result the town launched a whisper-quiet electric service bus to trundle up the 1 in 7 gradient to the top steps of the incline which links the Marina at the bottom with the Cathedral at the top. Castle Comfort would have installed a stairlift if they had only asked, and although they can easily provide a bariatric stairlift that goes up to 30 stone the bus beats it by carrying the weight of 14 people! Grimsby is our next town and is on the mouth of the Humber estuary and is Britain's busiest fishing port and also a bustling docks. In World War II the dock was the largest base for North Sea minesweepers keeping Britain free from the Germans. And in the 50's it was actually the biggest and busiest fishing port in the world! With container loads of fish coming in from Icelandic and other European boats together with the acres of vegetables being grown on the Lincolnshire Fens it was no surprise that food manufacturing and processing became big business in the area. Nowadays most of the UK's Scandinavian timber and car imports also come through the port while the Derbyshire-made Toyota Auris gets exported out through there. Scunthorpe has Britain's biggest steel processing plant and has a few famous sportsmen associated with it too. Firstly Kevin Keegan played for Scunthorpe United before he made his name at Liverpool. Ian Botham the cricketer also made 11 league appearances playing for Scunthorpe while still being a top flight cricketer. The greatest golfer of a generation Tony Jacklin overturned America's dominance in the Ryder Cup through the late 60's and 70's and was the first European in 84 years to win the US open. He won 2 Majors and was inducted into the World Golf Hall of Fame in 2002. Grantham is known for some of its past residents (born Hilda Margaret Roberts...) but did you know that it was here that the first caterpillar-tracked vehicle was invented. The Grantham inventor only sold one vehicle so an American bought the rights and subsequently went on to establish the massive Caterpillar construction vehicle company. It was also where Sir Issac Newton the scientist who discovered gravity, maths theories and maker of the first reflecting telescope, went to school. Other notable firsts for the town were the first female police officers in 1914, the first production diesel engine and the first female Prime Minister was born here....Margaret Thatcher. Close by is Englands smallest county of Rutland, having two main towns Oakham and Uppingham and although small has some claims to fame. Rutland Water is the areas biggest draw having an area similar in size to the Lake District's Lake Windermere and is one of Europe's biggest man made lakes. It is possible to walk and cycle round its 25 mile perimeter and there are boats for hire and fishing and birdwatching too. Did you know the county has the UK's highest fertility rate with an average household having 2.8 children. There must be something in that water! Uppingham is known for its boarding school in the town which dates from the 1500's and which has more sports fields by area than any other school in England. Famous past pupils include comedian and broadcaster Stephen Fry, John Suchet the newscaster and Rick Stein one of the most popular tv chefs who made a name for himself cooking fresh fish dishes. The county is also home to BBC's Gardeners World where the demonstration gardens at Barnsdale are located, and was set up by the late Geoff Hamiton "The Peoples Gardener." You can still visit it today and see 38 individual gardens set out for your enjoyment and inspiration. 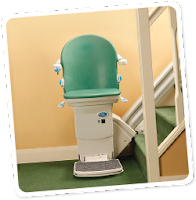 As with all our regional Stairlift Blogs, we have the main towns in the county of Lincolnshire, along with a slection of noteable residents – past and present. It’s always remarkable, how many people do not know just who comes from their own town. Boston – John Motson, Sports Commentator. Ann Bradstreet, 17th century Poetess. Grantham - Physisist, Sir Isaac Newton. 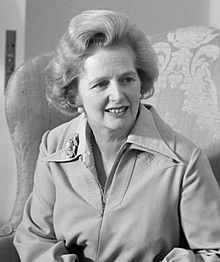 Margaret Thatcher, former Prime Minister. Stephen Lewis, of ‘Last of the Summer Wine.’ Gainsborough – John Wesley, founder of the Methodist Movement. John Alderton, Actor of ‘Please Sir’ fame. Skegness – Billy Butlin, founder of Holiday Camps. Spalding – Ian Cashmore, Presenter of TV’s ‘Ghosthunters’. Gregor Fisher, star of ‘Rab C Nesbitt’ and ‘The Baldy Man’. Stamford – Nicola Roberts, Singer from Girls Aloud. Malcolm Christie, Professional Footballer. Louth – Jeffery Archer, MP and Author. Roy ‘Chubby’ Brown, Adult Comedian. Bourne – William Cecil, Lord Treasurer to Elizabeth I. Charles Frederick Worth, who revolutionised French fashion. Mablethorpe – Alfred Tennyson, Poet. Sleaford – Jennifer Saunders, Actress. Eric Thompson, British Actor and Narrator of 1960’s TV series ‘The Magic Roundabout’. Holbeach – Sally Reddin, Paralympic Gold Medalist. Normal Angell, Nobel Peace Prize winner 1933. Deeping St. James – Martin Adams, Darts Player. Market Deeping – Charles Hardwicke, British Explorer. Horncastle – Robert Webb, television sitcom Actor. Henry Simpson Lunn, founder of one half of the Lunn Polly chain of travel agents. Long Sutton – Alfred Piccaver, English Tenor. Woodhall Spa – Mixmaster Morris, DJ and Broadcaster. Crowland – Rodney Slater, Musician. Market Rasen – Rod Temperton, wrote ‘Thriller’ sung by Michael Jackson. Heckington – Abi Titmuss, Glamour Model. Alford – Captain John Smith, English Explorer and Author. Spilsby - Sir John Franklin – Explorer. 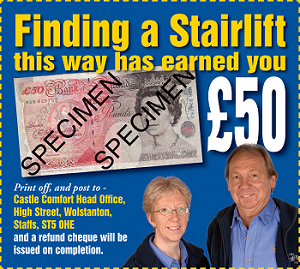 Coming soon- why are people from Lincolnshire known as 'yellowbellies' and what is a Lincoln stairlift?